Nail biting typically begins in childhood and sometimes continue through adulthood, somehow we are relaxed to these kind of behavior. However, doctors warned people on biting the skin around the finger tips that can cause damage on tissue that makes the nail grow that resulted to abnormal-looking nails. 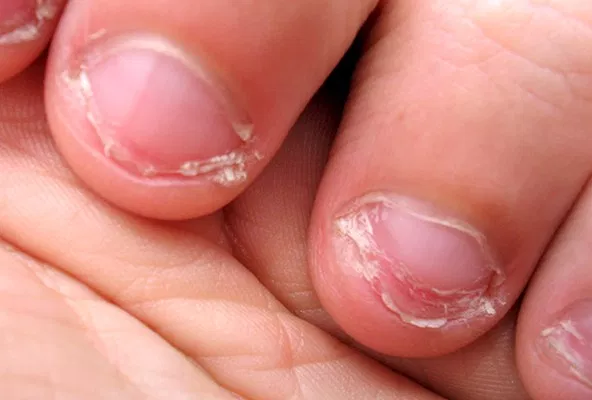 Persistent nail biting can also leave you vulnerable to infection as you pass harmful bacteria and viruses from your mouth to your fingers or in other way around, from your nails to your face and mouth. Recently, a mother had to rush her son to a hospital with a finger of fester abscess because of his nail biting habit. The doctor said if the finger gets infection, the boy will lose his finger. * Keep your nail trimmed short - having less nail provides less to bite and and less tempting. * Apply bitter-tasting nail polish to your nails - those safe with awful-tasting formula to discourage people from biting their nails. * If you feel biting your nail, try to switch on your mode to other activity like playing with a stress ball. * Figure it out what causes you to bite your nails and that's the time you can developed plans to avoid this habitual problem.